A long while back, I purchased a couple of RF transmitter and receiver pairs. My idea was to make a remote controlled robot. I did do some experimenting with it before but nothing came of it at the time. I tried some more experiments today and, well, I broke more things, but I also confirmed a few other things that will sway where this project goes, if it does go anywhere. 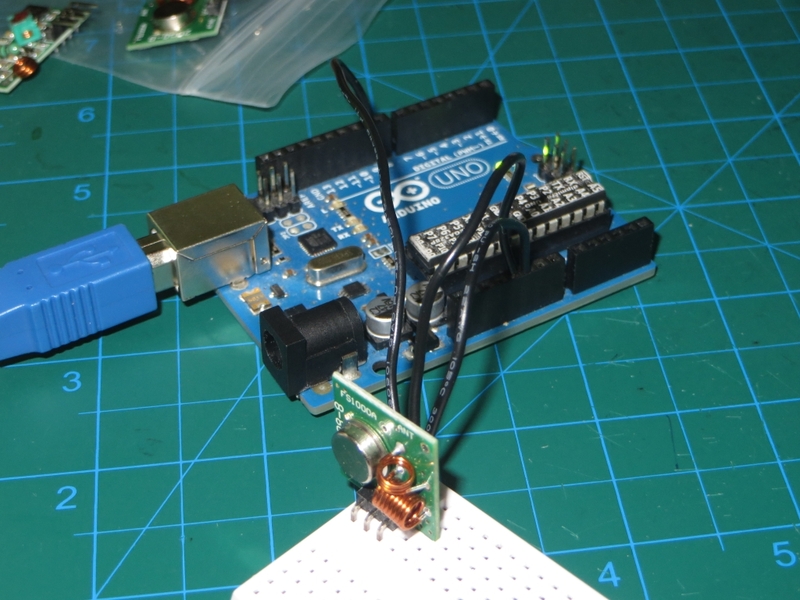 For the transmitter, I used an Arduino Uno. At first, I used it for the receiver, just so I could make sure the communication was working fine via the serial monitor. Once that was ready, I swapped the transmitter and receiver on the two systems. Using the transmitter on the Uno allowed me to change what was being sent instead of setting up a hardware circuit with buttons. Here’s the receiver. It uses my ATmega328p Breakout Board (Rev B) and my old AMS1117 voltage regulator board. 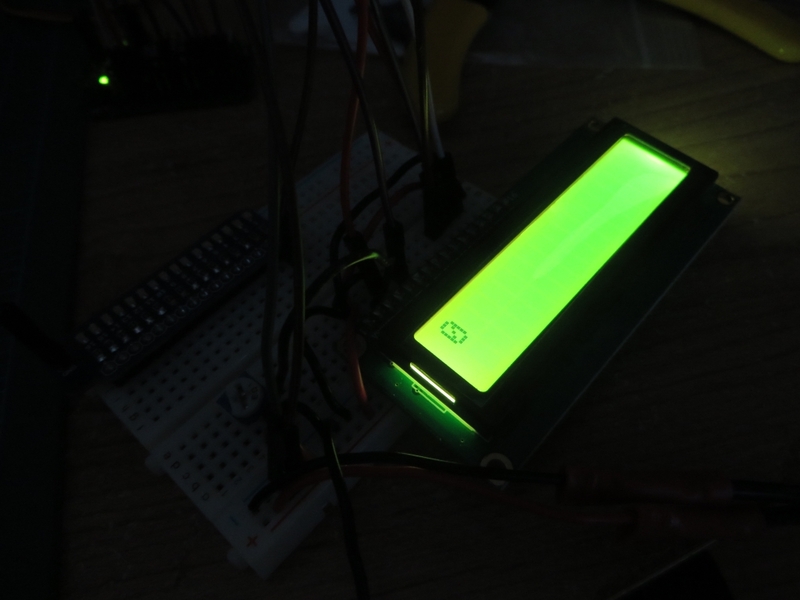 I used my 16 SMD LED board and an LCD for debugging purposes. 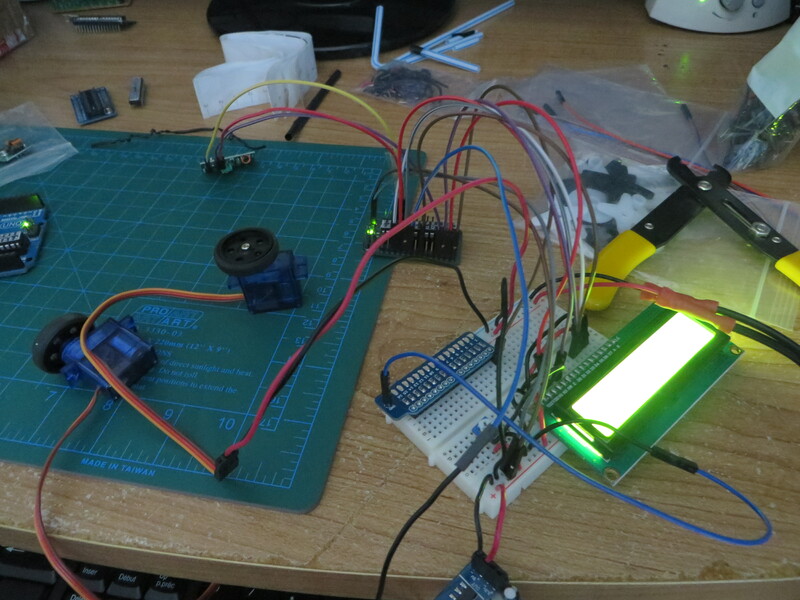 Before the servo motors were thrown into the mix, I tested the communication between the two separate systems. I’ve gotten the hang of it. I can edit the transmitter code to send as many characters I want. The only time I need to touch the receiver code is to change what the system does with the received data (the conditional logic). I accidentally wired the power connections (Vcc and Gnd) to one of the servos backwards. It got really hot at that point and now it doesn’t work. I decided to take it apart for fun and will share those photos in a future post. Thanks for reading! Stay tuned if you’ve ever been interested in seeing the innards of one of these micro continuous rotation servo motors! That’s coming up next!